With the New Year, mobile and web technology went through new resolutions, strategies, goals, and objectives. So there is no denying that they change in rapid fashion. We have various mobile applications like music players, video streaming, messenger, online games, etc. The expansion of online consumer awareness has resulted in fussy and unpredictable choices. 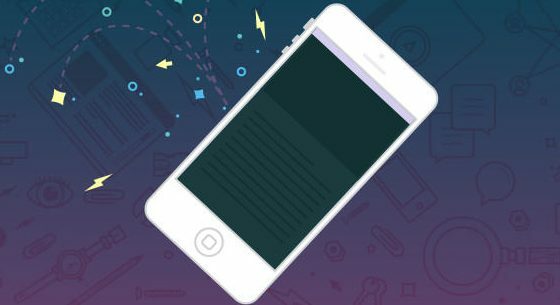 This, demands you to learn quickly and adopt the latest trends in mobile app development in 2017. Drones are the new kid on the block, but they have hit the latest business trends already. Amazon Prime Air is on its toe for launching world’s first drone delivery service and we are eagerly waiting to see how the technology works. Alphabet which is said to be the Google’s parent company is also holding on to the excitement as their new drone delivery program. The Wing Marketplace is on its way to deliver food via drones. Drones are also used in agriculture, national security, and healthcare. Therefore, web design and development courses are teaching students to create apps that will control the drones. These kinds of apps should have the features to control, analyze and manage activities by drones. The drone industry is growing speedily, so we suggest diving into it as soon as possible. The Mobile app analysts predict that the presence of local retailers and small business on the internet is greater than before. They are the apps used completely to boost sales and improve the brand image in a short period of time. Hence, a huge number of app developers are in demand who develop simple yet efficient web apps for these local retailers. If for all these years you were in a dilemma of whether to take web design and development courses or not, this is the correct time to go for it. Industry experts are focusing on structuring curriculum that covers latest trends and subjects. Be it fitness tracker band, smartwatch, jewelry or digital pen, the market for wearable devices will even grow in popularity in 2017. This indicates that there will be an increasing demand for mobile applications integrated with these smart gadgets. Wearable technology provides ample of opportunities, mostly for sports and healthcare industries. Machine learning will also come into action with these apps. To know what machine learning is, take web design and development courses that cover the latest upgrade in technology. We often hesitate to download apps that ask for access to images, contacts and more from our phone. We hesitate because we are concerned about the safety and security issue. Thus, app developers have to gain the trust of people by ensuring data security for businesses and individual users. Along with the remarkable increase in the number of online purchases and use of mobile-based apps, instances of hacking and misuse of confidential is occurring more frequently these days. This alarming statistic calls for a high demand for more secure technologies, complex data encryption and authentication algorithms. The trends change from day to day along with the technologies. We are living in the era where the newest trend is upgraded by our skills in web design and development skills. If you don’t want to upgrade yourself with trends then you won’t be able to outsmart your competitors. The future mobile apps will be very bright and challenging with innovative and groundbreaking or innovative possibilities. In the hectic world of app development, adopting the newest techniques is the key to sustain.